• Automatic lubrication stations. These greasing stations, housed in stainless steel boxes, are the perfect answer to regular, consistant greasing of belt line rollers and bearings or any application that requires greasing on a regular basis. Currently they come in 6, 8 and 14 injector configurations but can be supplied with any number of outlets. Our 6 bank boxes are shown here. They are 400mm wide, while the 8 and 14 bank models are in 600mm wide boxes. 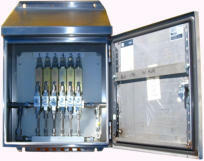 Because they are supplied with isolation valves and connected in series, they can be changed out in minutes. Repairs can then be carried out with no downtime to the machinery. Each lubrication injector has it’s own bypass ball valve so that lines can be purged individually as required. Each injector is numbered and a legend card is supplied that shows you which bearing or joint is greased by that particular lubrication injector. Because of the space restrictions of the 600mm wide box, our 14 bank cabinets have the ring main connection tubes on the outside of the box. This causes no problems with instalation and still maintains the effectiveness of the grease flow through the injectors and bypass valves. Installations • BMA’s Goonyella mine recently installed these lubrication units in their coal preparation plant as part of their Maintenance Refurbishment programme. See their story below. As well as selling new parts and components, we also service and rebuild all the products we sell. We have a comprehensive spare parts and exchange parts service. And all work is guaranteed. 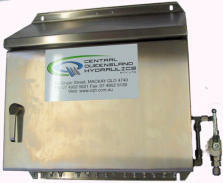 We supply all filters from any manufacturer We have a comprehensive filter service. And all work is guaranteed. All types of hydraulic tooling. Hydraulic cylinders of all shapes and sizes. Hydraulic fittings and hoses. 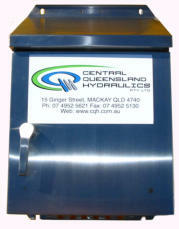 • Automatic lubrication stations. These greasing stations, housed in stainless steel boxes, are the perfect answer to regular, consistant greasing of belt line rollers and bearings or any application that requires greasing on a regular basis. Currently they come in 6, 8 and 14 injector configurations but can be supplied with any number of outlets. Our 6 bank boxes are shown here. They are 400mm wide, while the 8 and 14 bank models are in 600mm wide boxes. 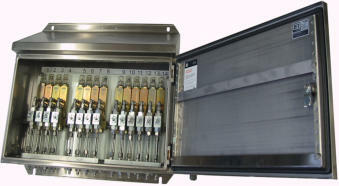 Because they are supplied with isolation valves and connected in series, they can be changed out in minutes. Repairs can then be carried out with no downtime to the machinery. Each lubrication injector has it’s own bypass ball valve so that lines can be purged individually as required. Each injector is numbered and a legend card is supplied that shows you which bearing or joint is greased by that particular lubrication injector. Because of the space restrictions of the 600mm wide box, our 14 bank cabinets have the ring main connection tubes on the outside of the box. This causes no problems with instalation and still maintains the effectiveness of the grease flow through the injectors and bypass valves. 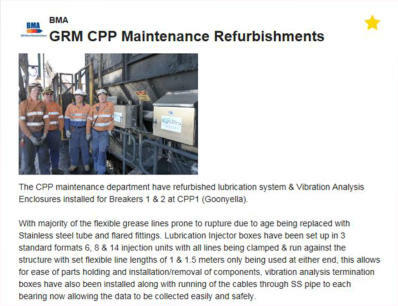 • BMA’s Goonyella mine recently installed these lubrication units in their coal preparation plant as part of their Maintenance Refurbishment programme. 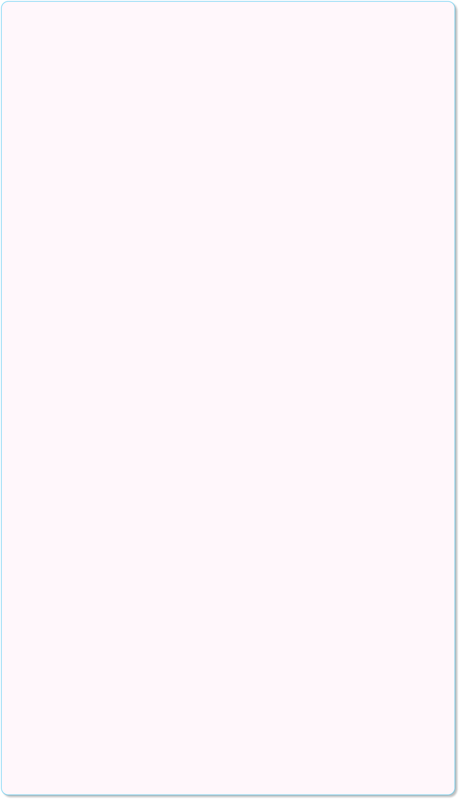 See their story below.